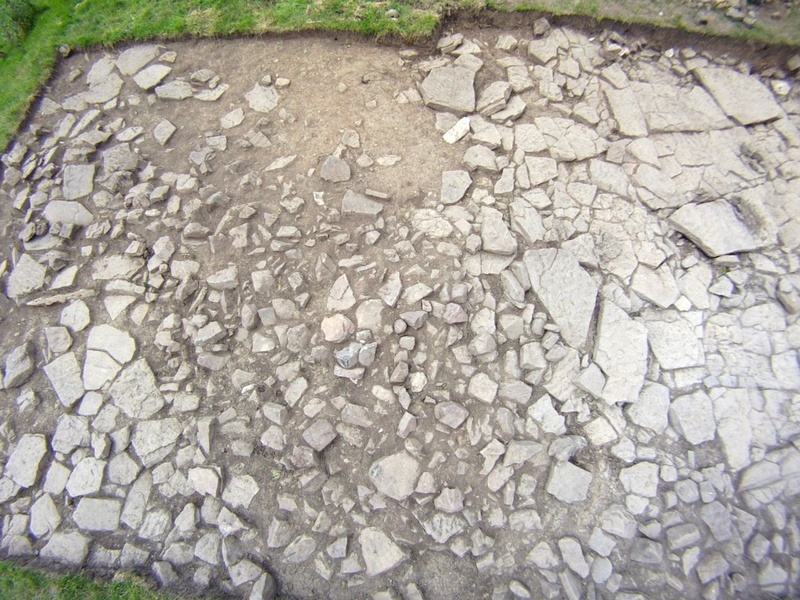 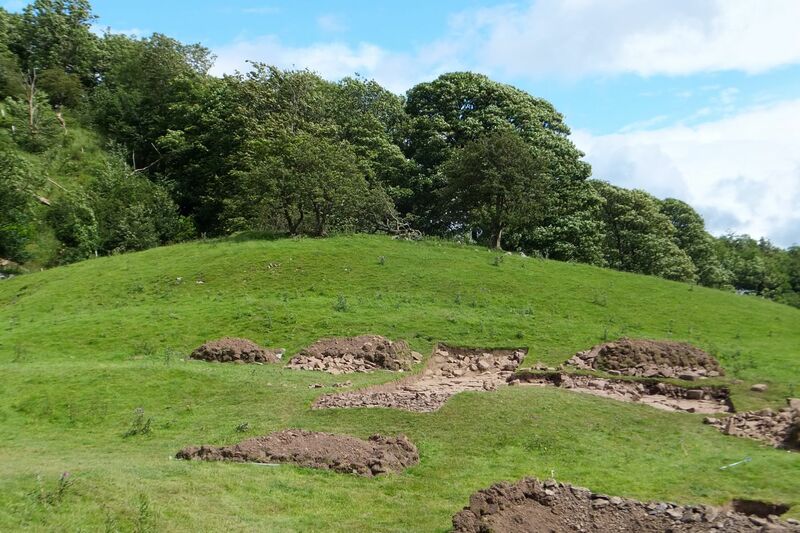 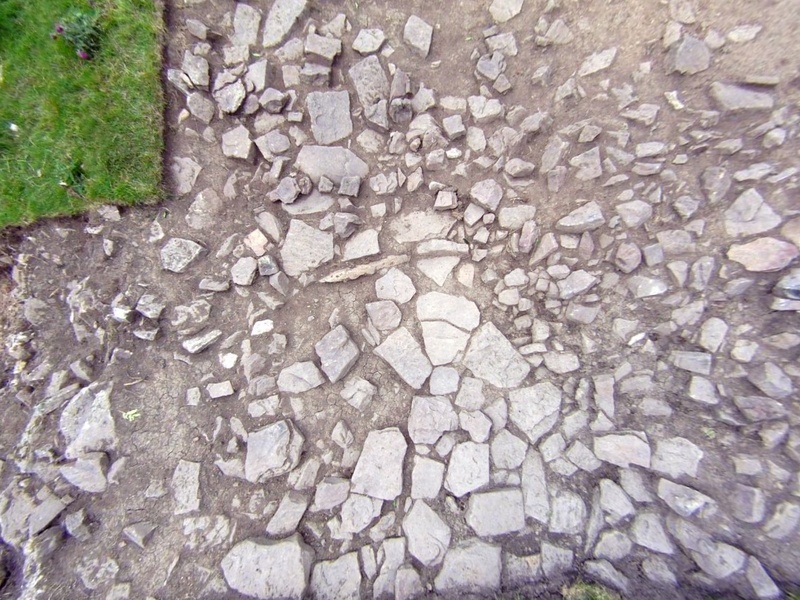 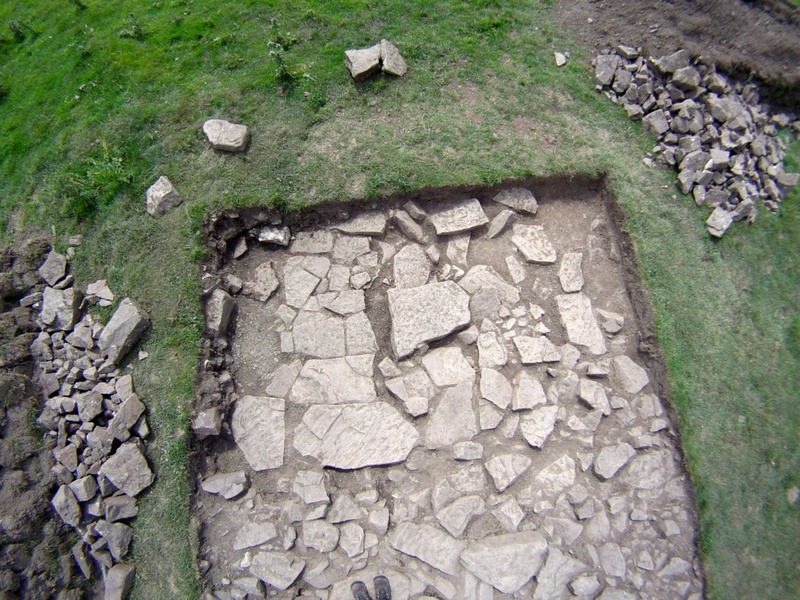 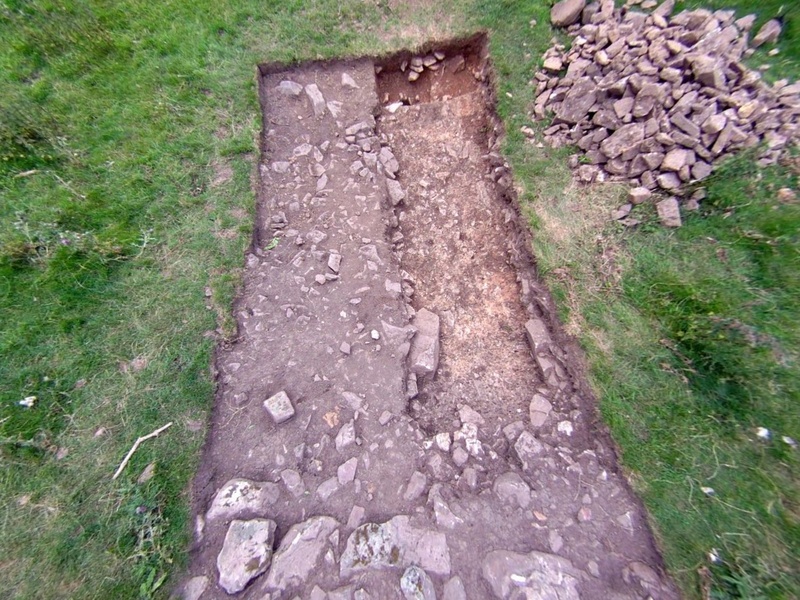 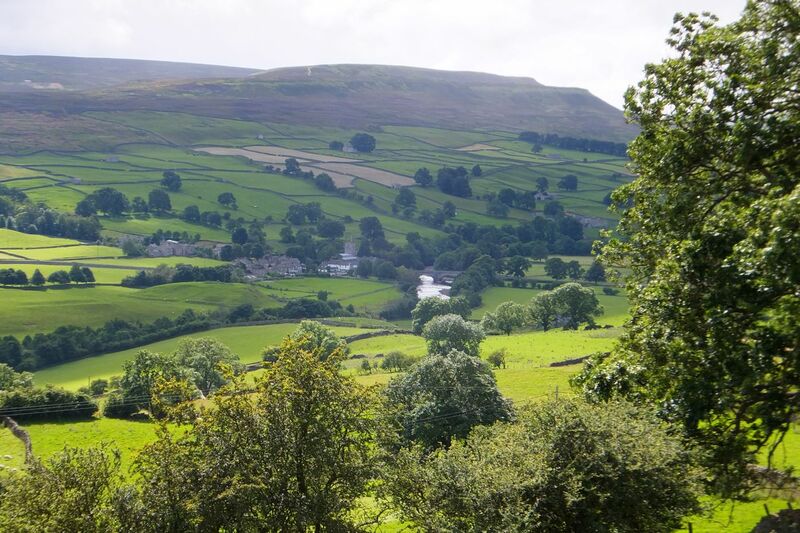 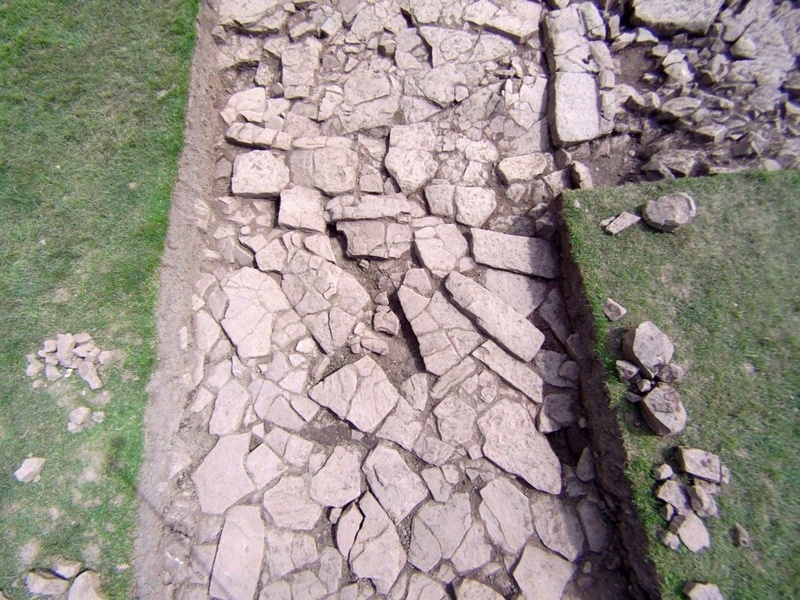 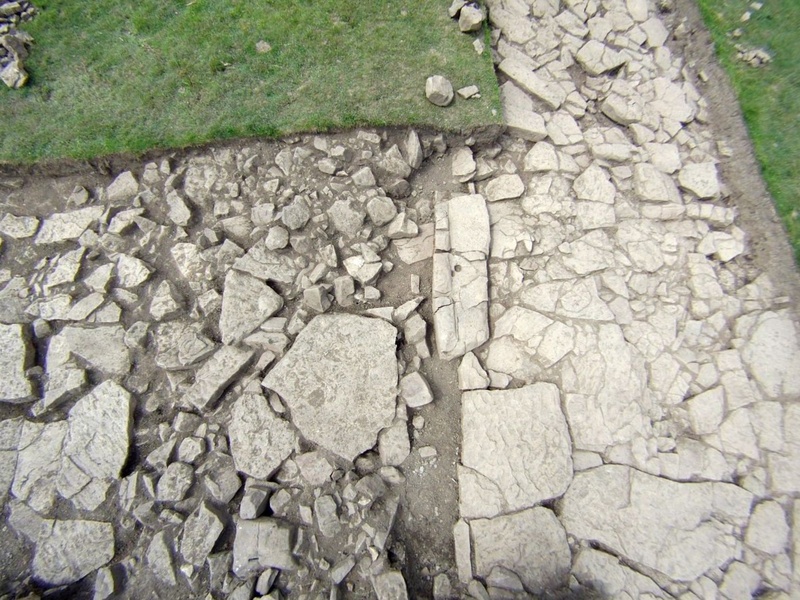 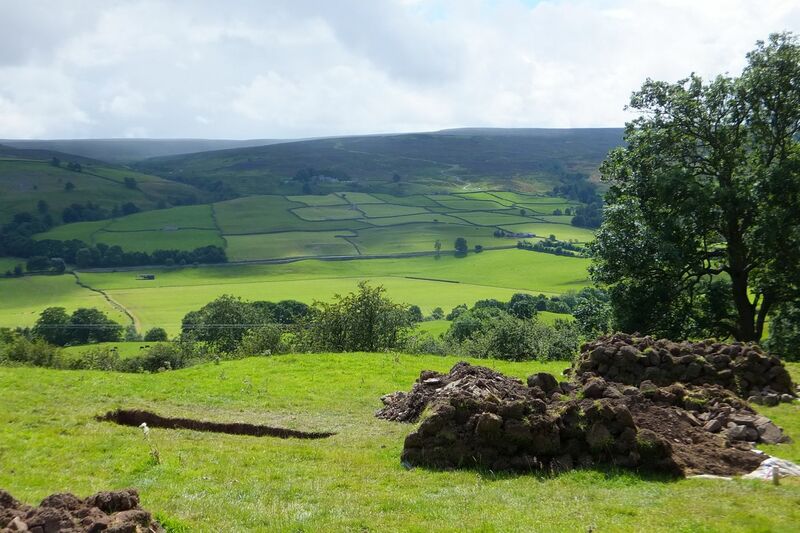 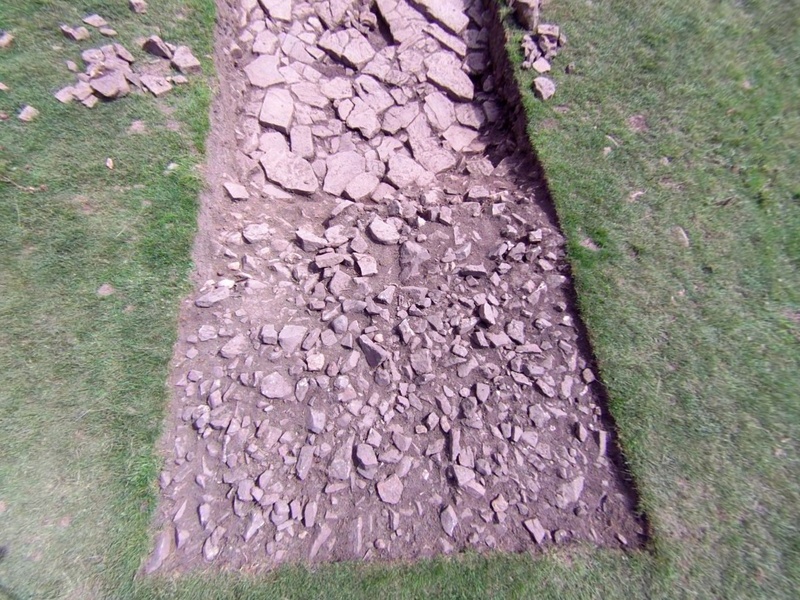 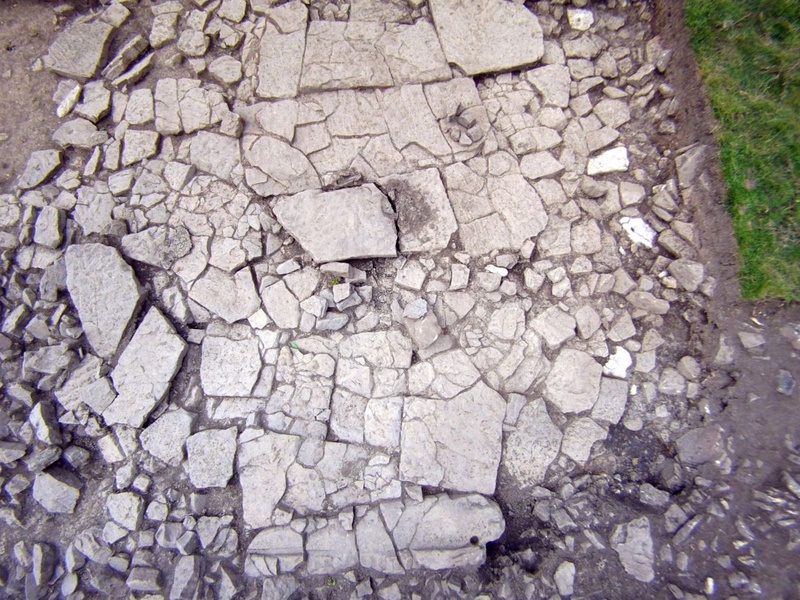 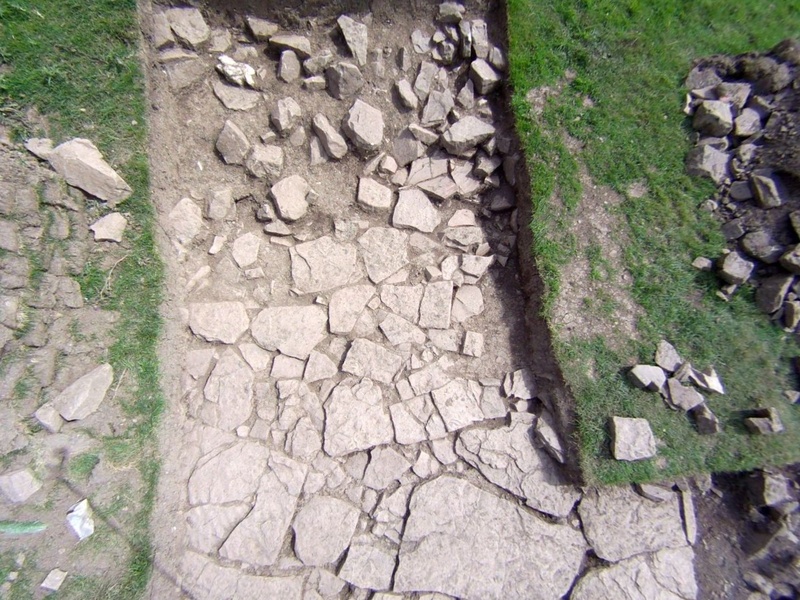 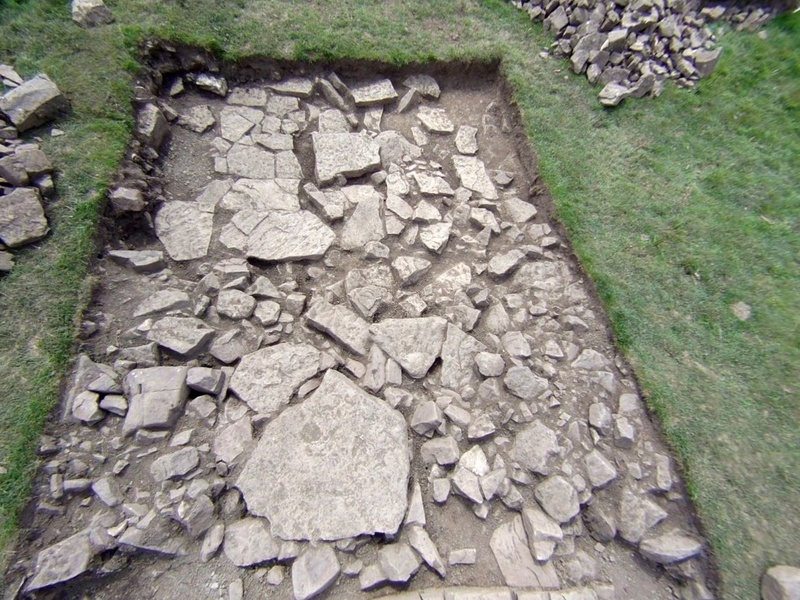 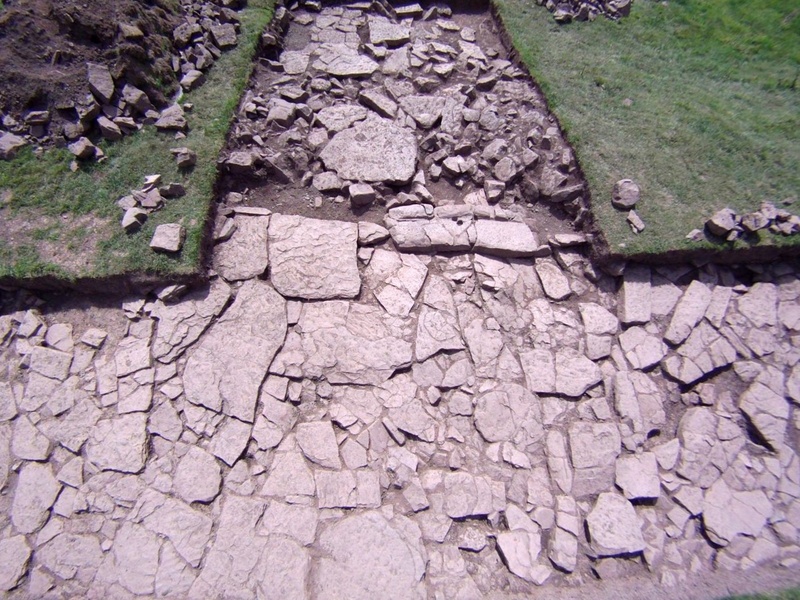 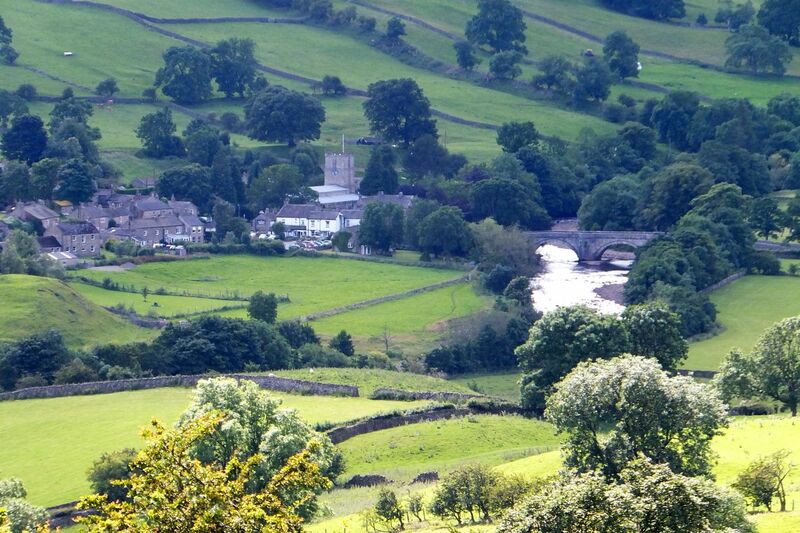 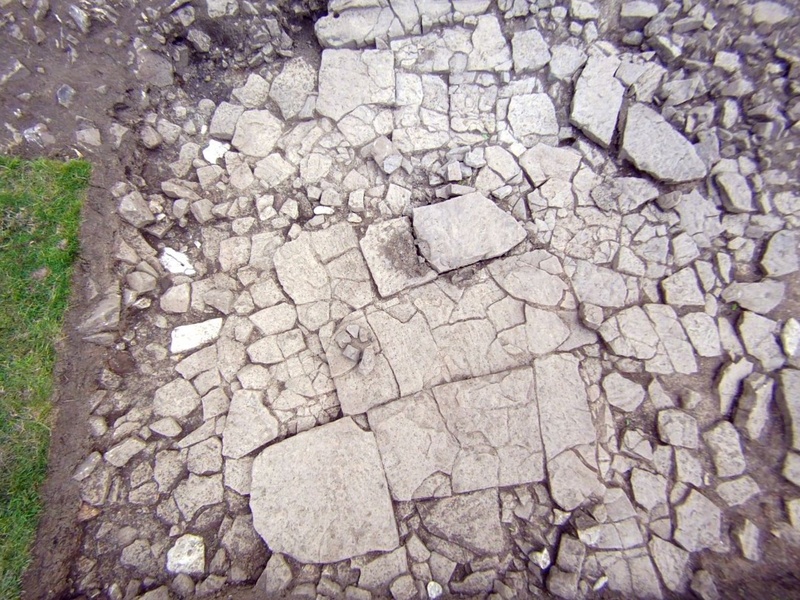 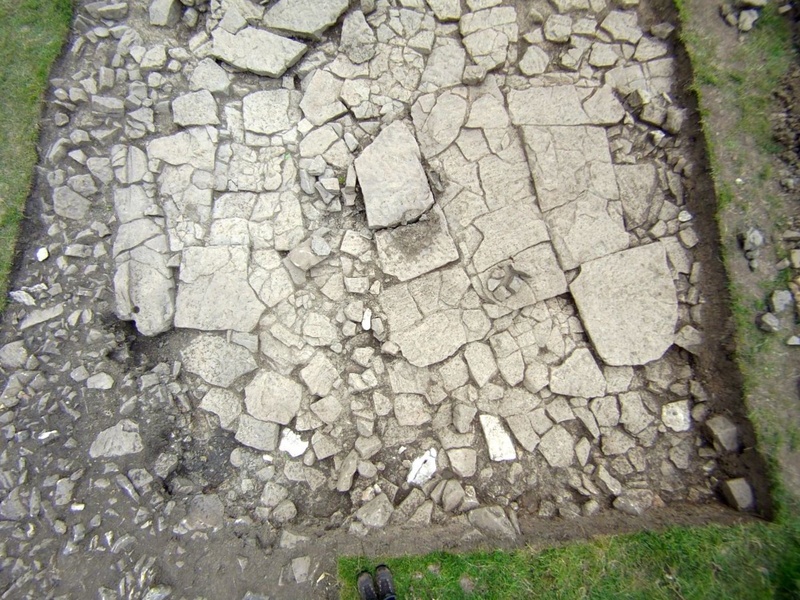 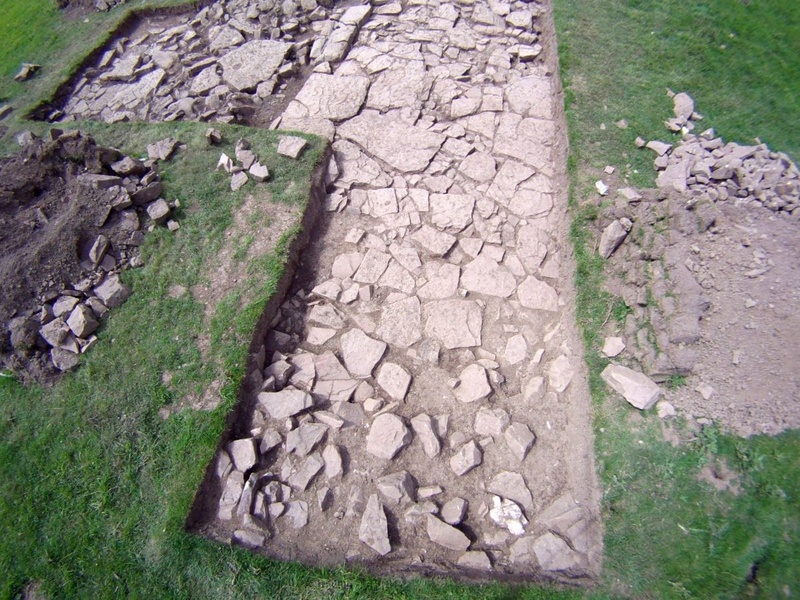 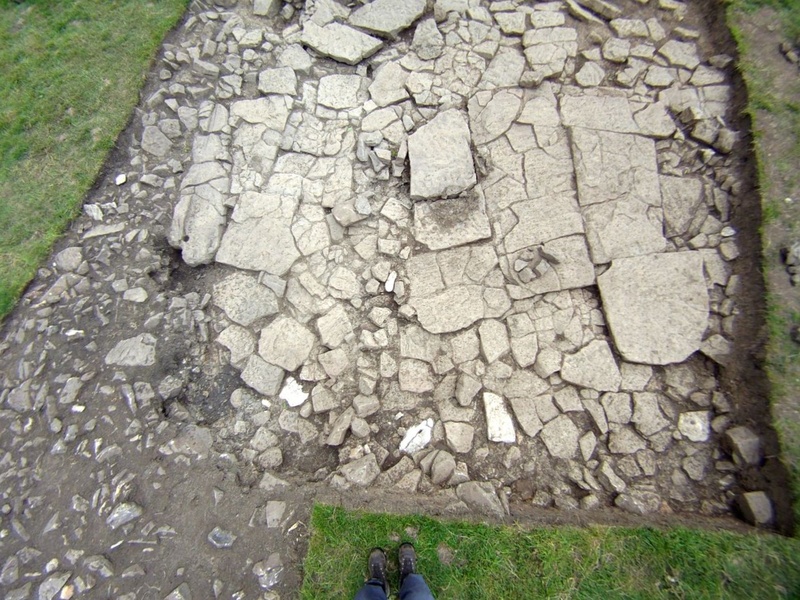 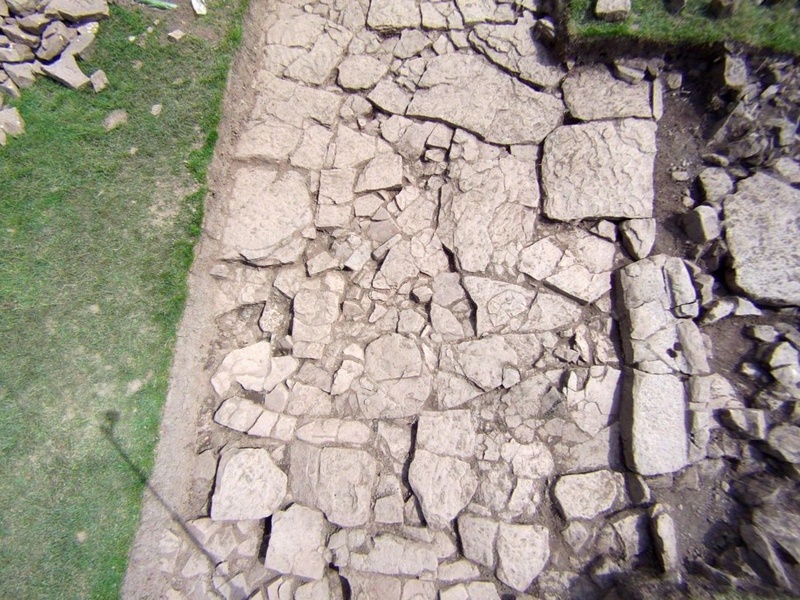 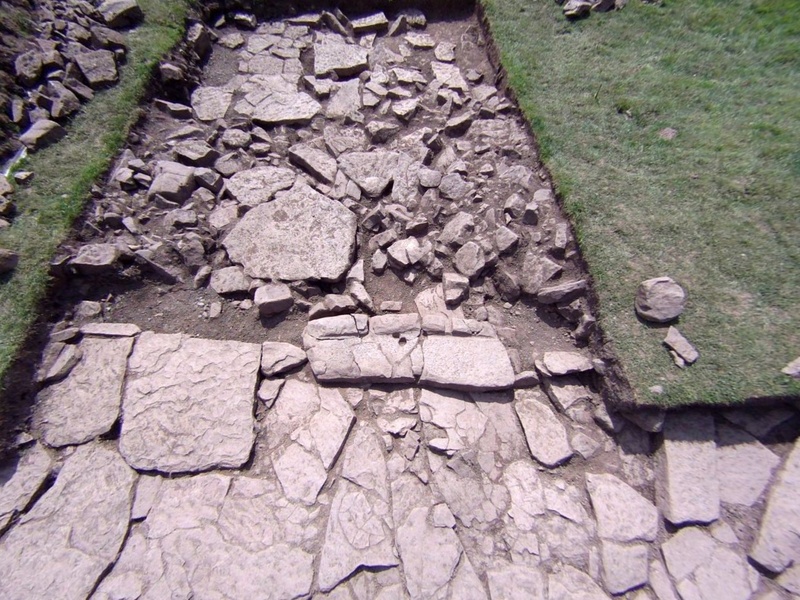 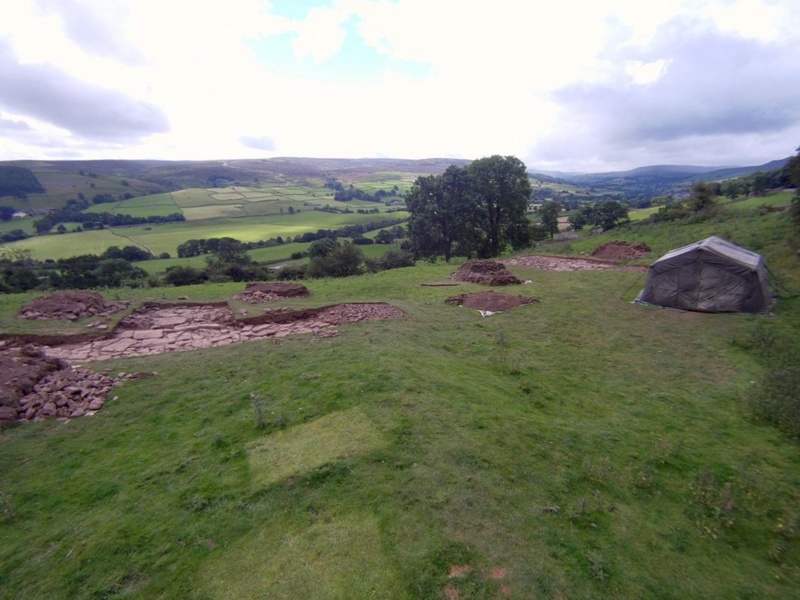 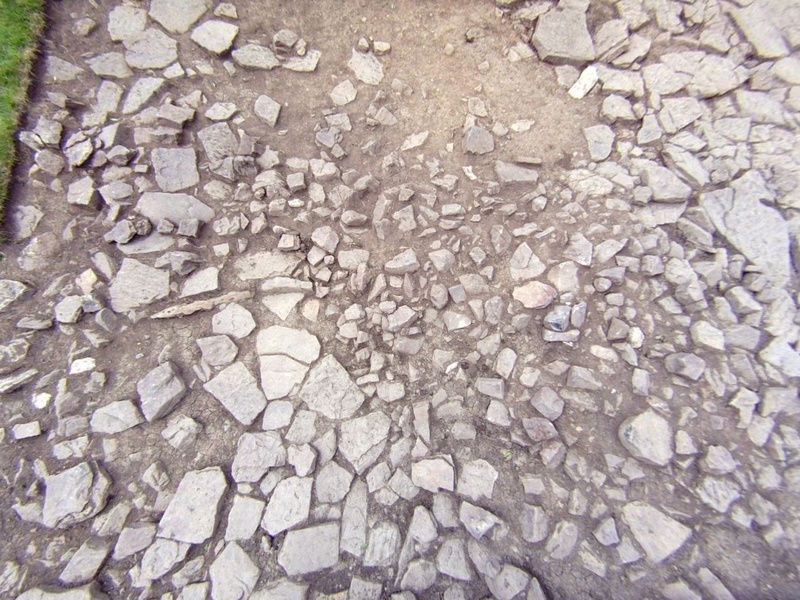 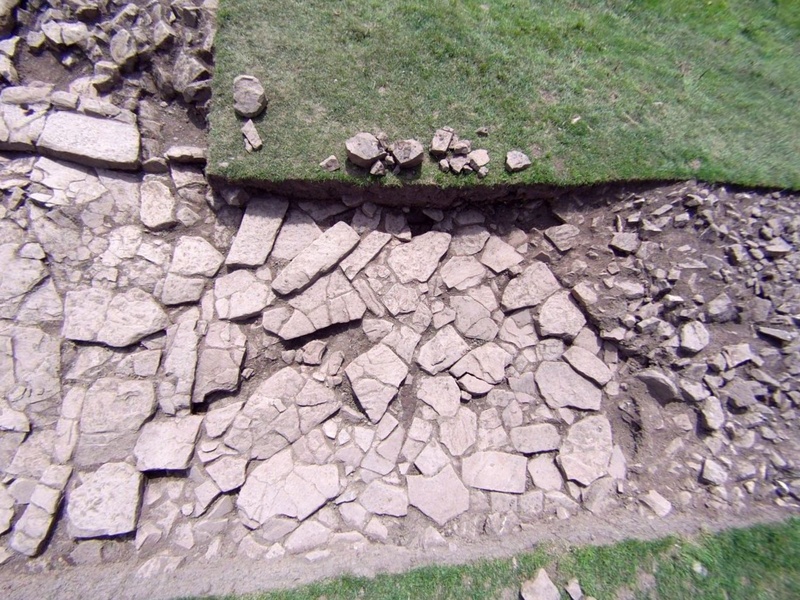 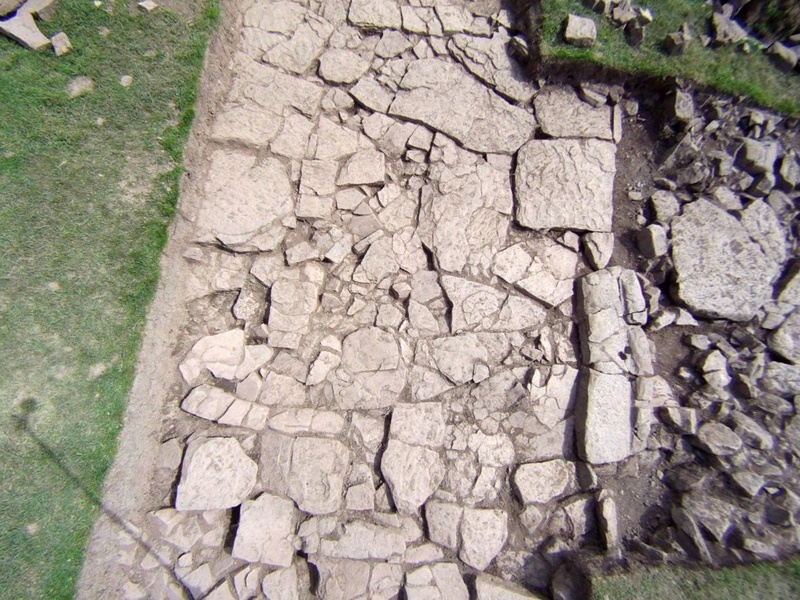 The Swaledale Project: Hagg Site 103 Excavation Images. 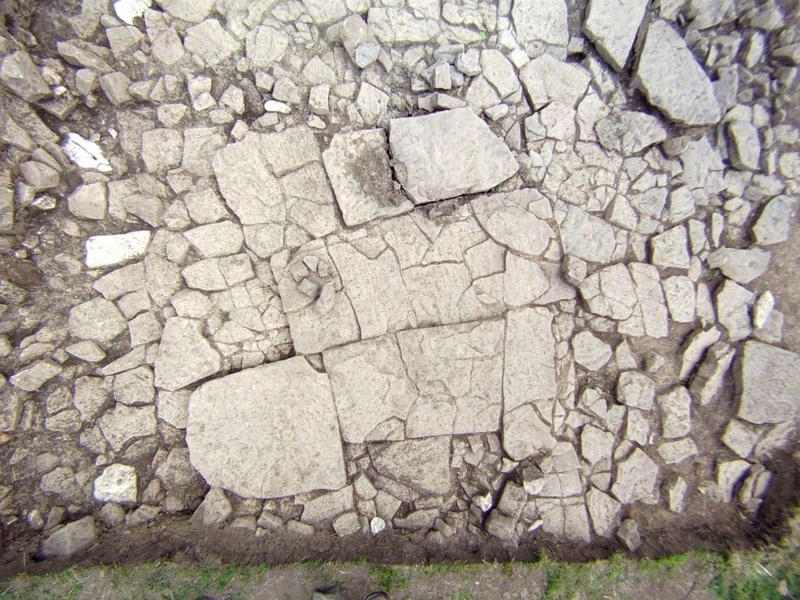 If the images are too wide hold the Control button down and press the minus key until they fit. 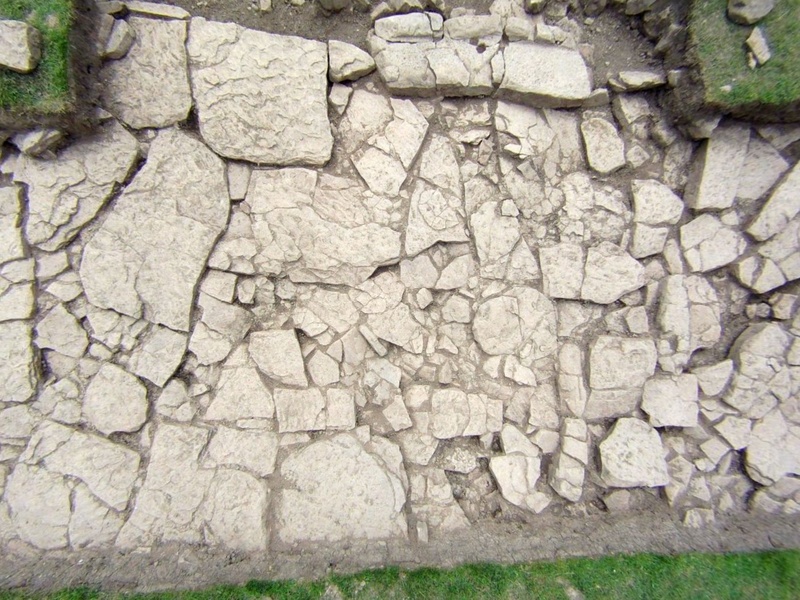 Control and the plus key will enlarge. 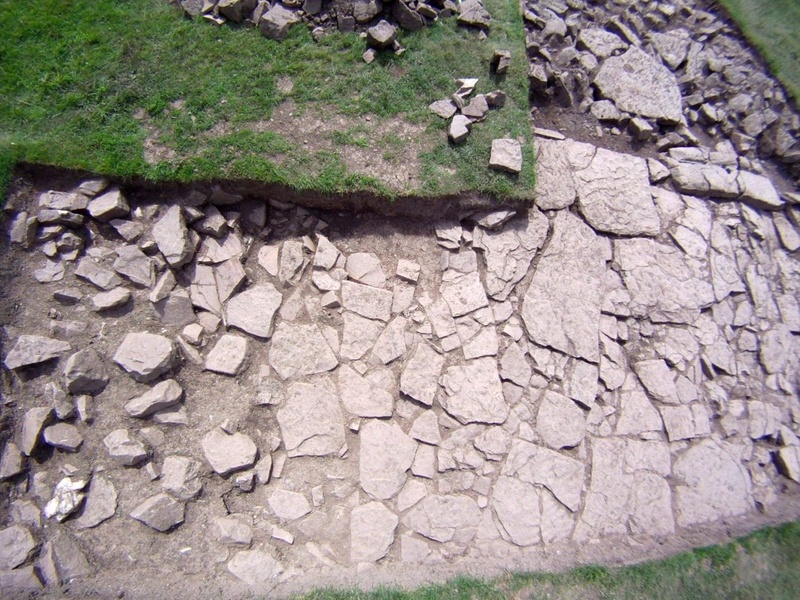 Most of these images are taken by a fish eye lens which causes some distortion. 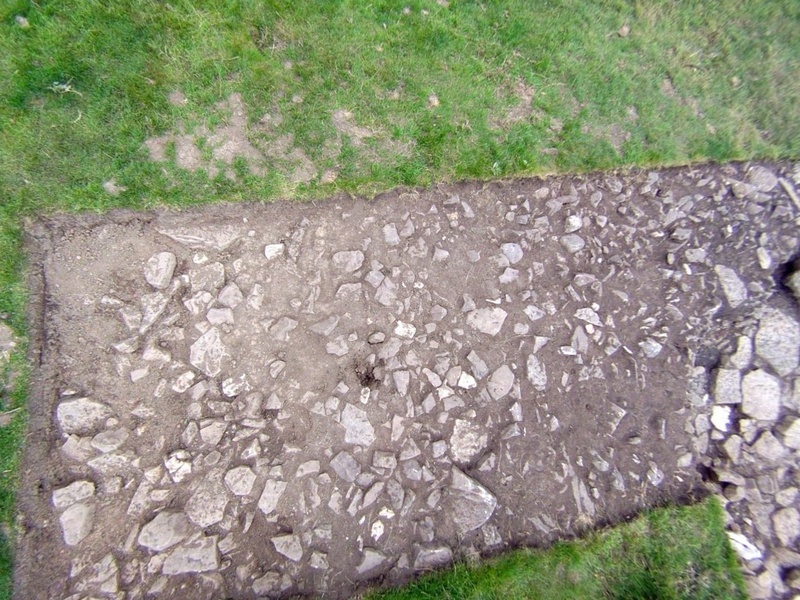 Is this a Romano-British roundhouse stone door sill with 'bolt holes'? 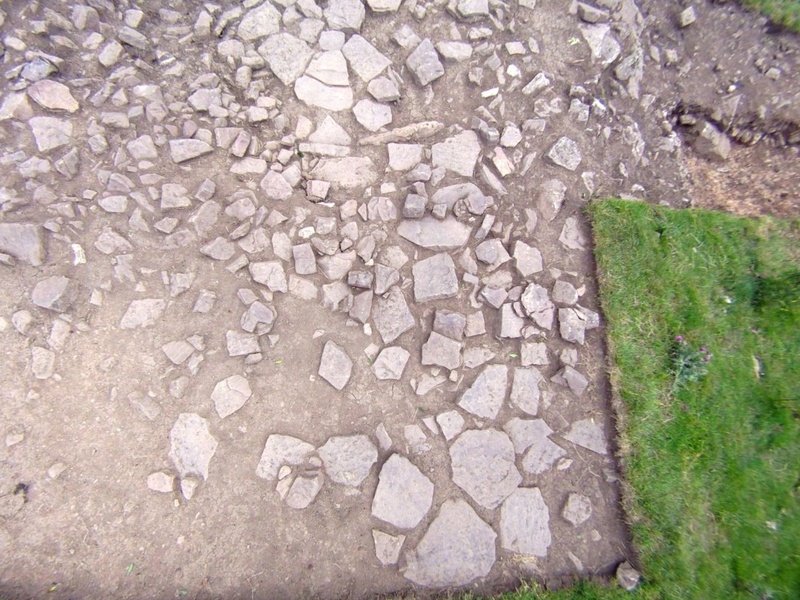 This is the second example on this site. 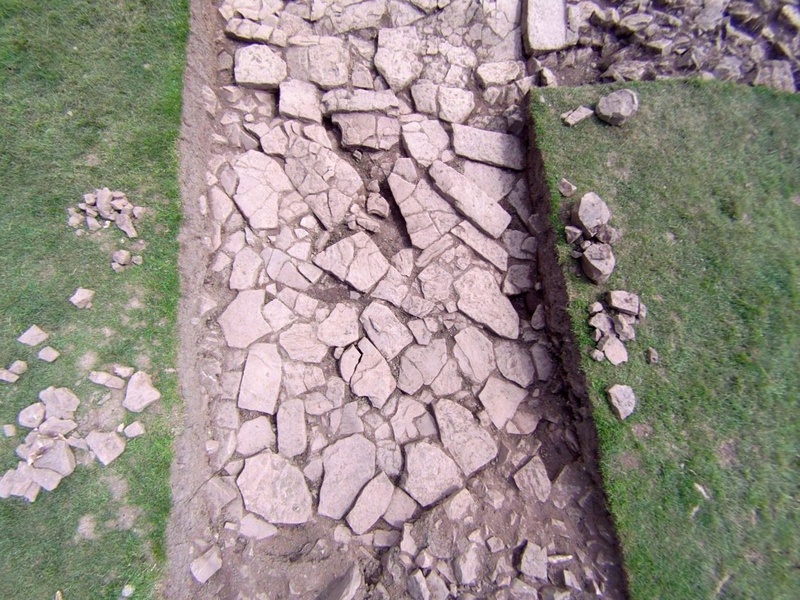 Trench 2 (below) runs roughly north-south and was widened towards the west. 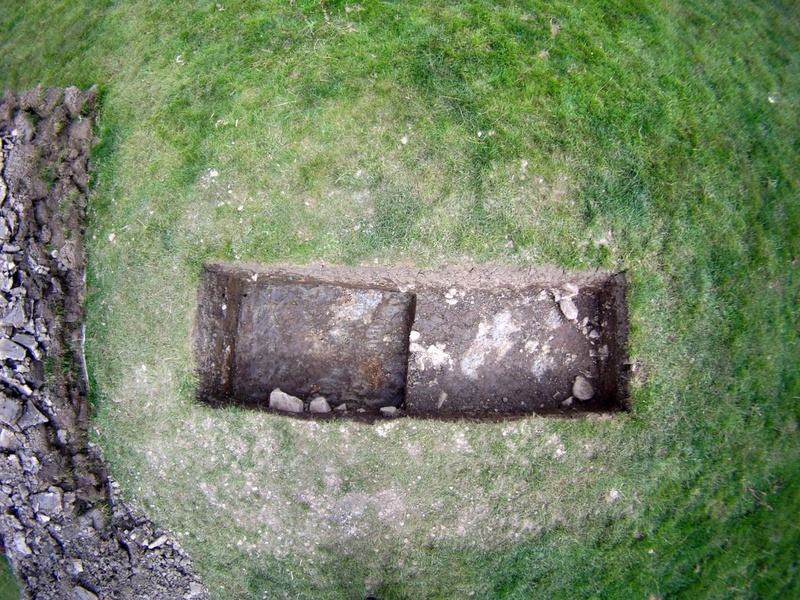 Is this a Romano-British roundhouse stone door sill with 'bolt holes'? 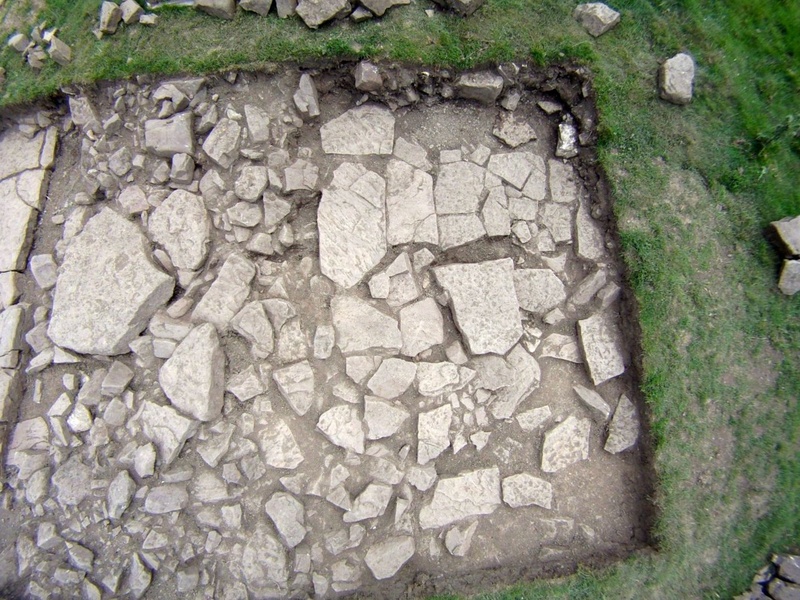 If so this was the first of two found on this site. 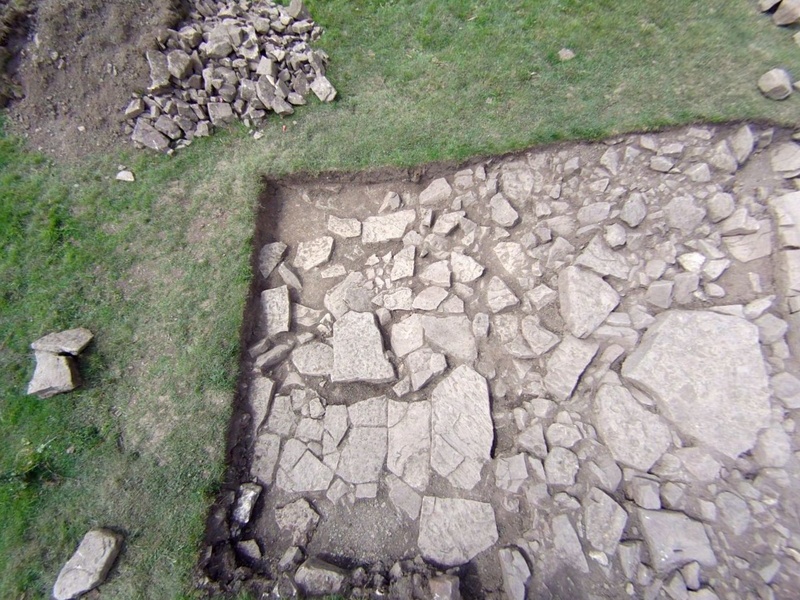 Trench 3 was a small test trench in what we thought might be a surfaced yard area, but wasn't. 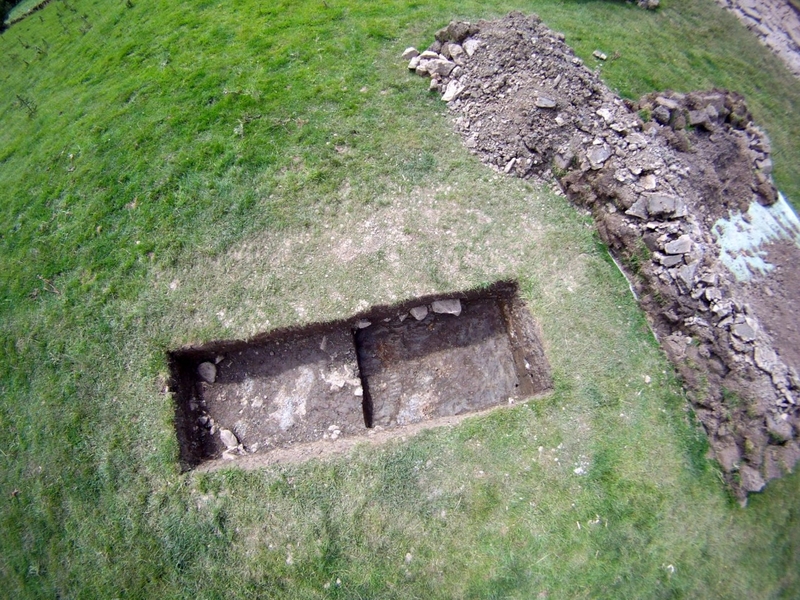 Use the Contact page for © permissions.